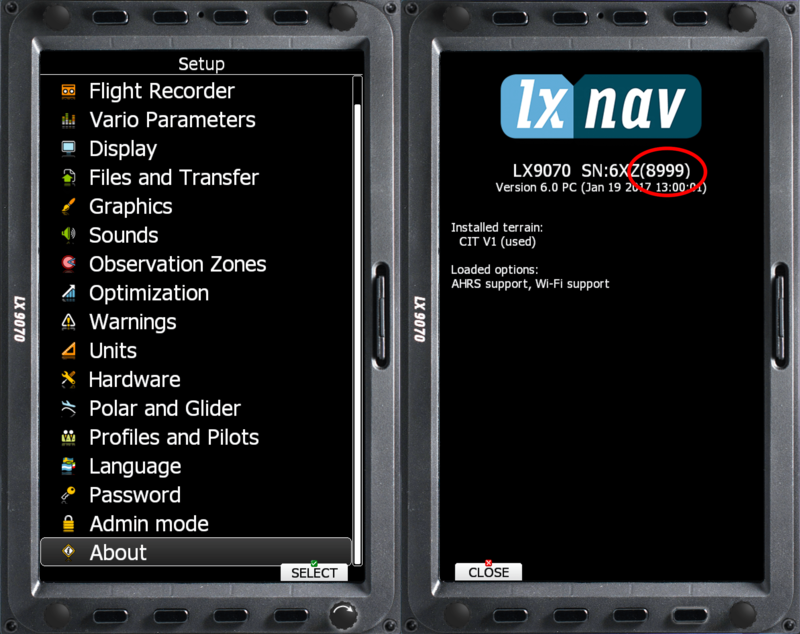 Your subscription to GPS AeroData is based on the serial number of a system or software. On this page you will find out how to find these serial numbers. Find the 4- or 5-digit numerical serial number between brackets (red circled) and proceed with the registration here. Alternatively you can check the sticker at the back of flight computer.